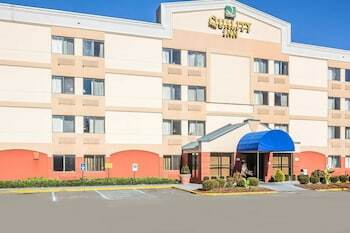 Located in Spring Valley, Quality Inn Spring Valley - Nanuet is within a 10-minute drive of St. Paul's Episcopal Church and Palisades Center. Featured amenities include complimentary newspapers in the lobby, dry cleaning/laundry services, and multilingual staff. Free self parking is available onsite. Located in Stony Point, Gilmor Sloane House is a 1-minute drive from Penguin Rep Theatre and 8 minutes from Stony Point Battlefield Lighthouse. Free self parking is available onsite.